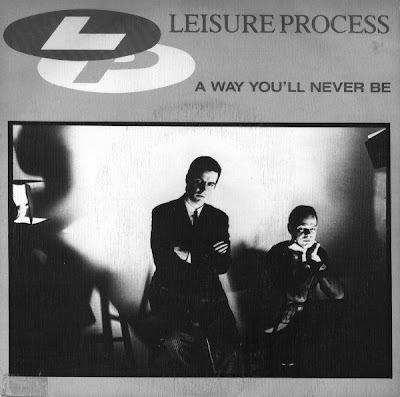 Leisure Process was a short lived New Wave duo comprised of sax player Gary Barnacle and singer Ross Middleton. 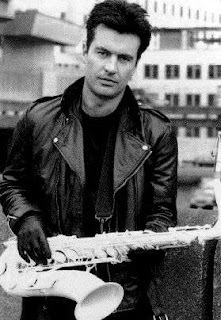 Gary Barnacle was a saxophonist and brass instrument arranger primarily noted for session work, during the 1980s, with a large number of popular music acts including Kim Wilde, Visage, Dalek I Love You and Level 42. Ross Middleton was a member of the UK outfit Positive Noise before he teamed up with Barnacle. Together they formed Leisure Process in 1981. Leisure Process was produced by Marin Rushent and it released several singles in 1982 and 1983 but never managed to record an album. Even though they provided similar sound to some of the popular groups at that time, they remained as an 80’s obscurity. Their sound was a synthetic with Middleton’s manic vocals and Barnacle’s excellent sax solos. At some points it reminded of Human League especially when you compare “Love Action” with “Love Cascade”. After working with a line up of great artists Barnacle released a solo album Paradise in 2002.Here are some acts for whom Barnacle has contributed session work.